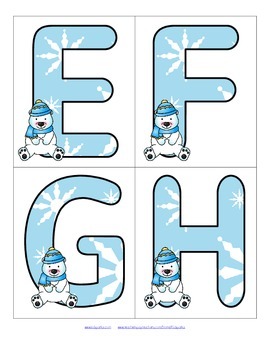 Large alphabet letters with a Winter Polar Bear theme. Includes both upper and lower case. 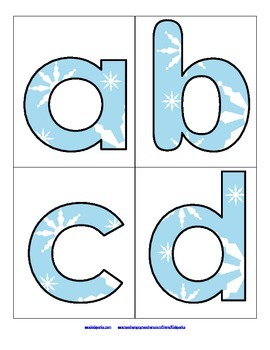 4 letters to a page. Print on cardstock. 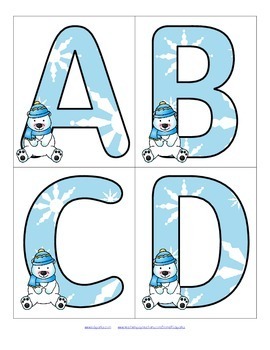 Use to make matching and recognition games for early learners. Large enough for bulletin board and room décor. ***I add FREE items often. Follow me to get them as soon as they are listed.